Indian motor sport star and ex-Formula 1 driver Karun Chandhok is the latest ‘Pro’ to answer your questions as an Online Instructor. Check back after Monday, June 23 for his answers. One of only two Indian drivers to compete in Formula 1, Chandhok has been a pioneering force in Asian motor sport throughout his career. 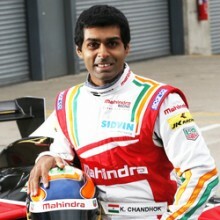 Son of former Indian rally champion Vicky Chandhok, he graduated to single-seater racing in 2000, becoming Indian National Racing Champion in his first season by wining the Formula Maruti series. He moved to Europe to continue his racing education by competing in the British Formula Three and World Series by Nissan championships. He gained a reputation as a mature driver and highlighted this by claiming the inaugural Formula Asia V6 by Renault title in 2006, winning seven of the 12 races. His progress up the motor sport ladder continued and he spent three successful years in GP2, winning two races. He became the second ever Indian Formula 1 driver, after Narain Karthikeyan, as he competed for the Hispania Racing Team in 2010. He became Test Driver for Team Lotus in 2011 where he demonstrated his impressive motor sport knowledge with commentary appearances for British broadcasters. He has contributed for various publications, including Autosport and ESPN, becoming a respected analyst as he continues to compete in the European Le Mans Series and gets ready to race in the first ever Formula E season. 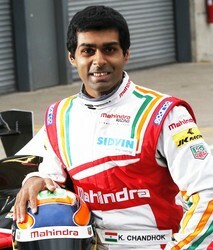 Karun Chandhok answers your questions! No truth in that – I fully expect to be back next year ! Who did you idolise when you were younger in the racing world? Is there a particular driver that you try and mirror your racing style on? I was always a fan of Alain Prost and Mario Andretti. Prost because he was a real minimalist in the way he drove, putting as little energy as possible into the car and letting the car do the work. Alain also had a very clear view that it’s important to set the car up in a way that it does the majority of the work and makes your life easier. Mario Andretti, because I believe he’s quite simply the most versatile and best all rounder we’ve had in our sport. What is the scariest or most dangerous thing that has ever happened to you when behind the steering wheel? Hmm… I guess Jarno Trulli nearly landing on my head at the Monaco Grand Prix in 2010 was pretty scary. What do you think about the fan boost idea in Formula E? Do you think its wrong to have such artificial elements involved when racing? I have to say I’m not a huge fan of these sort of gimmicks but I guess they want to make it more interactive with the fans. Is there a street circuit in a particular City that you are looking forward to visiting on the Formula E calendar? What would you be doing if you were not racing? Not sure – maybe commentating on it ! From a population of 1 billion, are you disappointed that so few Indian drivers have made it onto the world racing stage? Why do you think this is the case? I think the lack of infrastructure in the country has hampered us. Things in India have gotten a lot better from when Narain and I started so actually the next generation of drivers are benefitting. You see the 15-16 year olds now like Arjun Maini, Tarun Reddu and Jehan Dharuwala all starting to climb their ladder to F1. I’m an ordinary bloke. Do track days happen in India? If yes, where and how can I participate? Yes ! I know track days happen at the MMRT circuit in Chennai organised by the Madras Motorsports Club. Was it easier for you to find sponsorship on your way up to Formula 1 as an Indian? Not at all – you have to remember that our Rupee is a huge disadvantage for us when compared to the Euro or the Pound. When I started racing in Europe, the exchange rate was 62 Rupees to the Pound Sterling and a few years later it was nearly at a 100 Rupees to the Pound Sterling ! Add in the fact that the sport is still nowhere as big as it is in Europe and sponsorship becomes a hard slog. Karun, I want to get into motorsport but have no idea where to start! I’d primarily like to be a driver but being a mechanic would be awesome too! I’m 15 if that helps! Thanks! I’m not sure where you live but if you want to be a driver, the best thing to do is to start in karting. Try and win some local events before moving on to National and Intercontinental championships before moving on to a global stage. Climbing the ladder as a mechanic is similar to a driver actually. You could start off as a work experience mechanic with a Formula Renault or Formula Ford team before trying to get a job at a Formula 3 or GP2 team and eventually making it to F1. The new Formula E championship looks exciting. What would you say to those that have already given negative thoughts towards the championship? The point is that the automotive world is going down the road of hybrids and electric vehicles more than ever before and Formula E will help to accelerate the development of batteries and drive trains in a cost effective manner that will benefit the real world. The world has become more green and eco conscious rightfully and if Formula E can help that process then it has earned it’s place. Alejandro Agag and the promoters are very clear that they are not trying to compete with F1 or GP2 or any other form of racing. 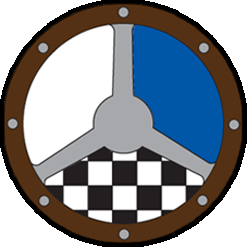 They are trying to promote an entirely new way of going motor racing and aid the development of battery and drive train technology. While there is a bit of a whine from the motors the element of noise will be missing from the show. The up side of this is that we’re able to race in urban areas where there are noise restrictions. The prospect of racing on the streets of cities like London and Miami is very cool. Hi Jonatan, Getting spotted by a manufacturer backed driver program or landing a sponsor or backer willing to support you is key. You mention that you are a gamer – have you tried the GT Academy challenge from Nissan ? There have been lots of gamers who have had the chance to become professional racing drivers because of it. What are the most demanding or least enjoyable aspects of being a professional driver? The boring sponsors and marketing events ! Some events are really good fun but there are plenty which are really pretty dull. Why do most racers take to cycling? It’s more social and you are less prone to injury than running. It’s also a great way to get a cardio workout and for me personally, I love the views you get when riding through the hills and countryside. Karun, You have had experience across the whole motor racing spectrum, how often have you had assistance from a driver coach? Also, how many drivers actually seek professional coaching? It is rarely mentioned as a part of a successful drivers experience although I know many drivers all the way up at F1 level still have some coaching even they may be race winners, just like professional golfers and tennis players etc have a coach. Great question Dean ! I was always a believer in driver coaches. It’s funny how many drivers actually believe they don’t need a coach, but as you say, if Rafa Nadal, Tiger Woods or Lionel Messi still have coaches, then why should we be different ? When I was in Formula 3, I worked with Andy Priaulx, who is now a multiple World Touring Car Champion and he was fantastic. I still work with Rob Wilson, a Kiwi driver coaching legend. Rob is a great observer of drivers and has a fantastic critical eye for what drivers are doing. I know a number of drivers on the current F1 grid who owe a few tenths to Rob. Hello Karun, I am a 20 year old Formula One fan from Chennai, India. I wanted to know if there is any chance for an Indian, staying so far away from the UK where all the action happens, to become part of a F1 team in marketing, PR and related fields? Can you tell me how to start about so someday I can work in F1, not as a racer but still travelling with the teams and living 24×7 with a sport I love so much! Hi Prathik, I really wish that more teams would open their doors for Indian people to join. There is no question that we have the brain power to do it, but all we lack is the experience. I’m slightly disappointed that Force India hasn’t taken the opportunity to create some sort of structured program for Indians to get an opportunity either as engineers or marketing and PR people. At Mahindra Racing’s Formula E team, we are certainly working with the engineers in Bangalore to help us on the electric powertrain program. Hi Karun I have two questions? What is the best way to gain sponsors in Kartsport and motorsport. And what is the difference between a good pilot and a bad pilot? thanks. It’s a very broad question to be honest but ultimately I guess the stopwatch never lies. The good drivers are the ones who are not only fast, but consistently fast. If you look at someone like Fernando Alonso, he very rarely has a bad day and that’s what makes him a great driver. Raising sponsorship is very difficult in this sport. There are a lot of fast drivers all chasing the same money so you need to discover your USP I suppose. You need to try and leverage that in the best way possible – it could be your nationality, race, colour, looks or personality. When is it too late to become a race car driver? Do you have to start young? Is Europe the place to go if you want to become a pro? Is karting the best path to becoming a driver? Are there other paths? Hmm… I have to say drivers are getting younger and younger – look at Kvyat ! Karting is the best way and you really want to be karting by the time you’re 12 years old to spend 3-4 years in karts before moving to single seaters when you turn 15-16. Karting isn’t a necessity – I never did a kart race in my life because we didn’t have any infrastructure in India but I do think it was a bit detrimental in my early single seater years. Was there anything that you weren’t prepared for when you turned professional? What were they? The politics and back biting ! You always have to look over your shoulder in this game for the next person trying to screw you over. Sad, but true ! As I watched the Canadian F1 Grand Prix this I noticed that no one was in the wrong gear down shifting from a 7 gear down to 2nd gear in a turn. Is the driver counting the amount of down shifts or is there a button he pushes? The driver counts down. It’s pretty simple to be honest – if you can’t count down the right number of gears, then you probably have bigger problems than just counting ! Hey Mr. Chandhok I have two questions; one how do you push your braking point to find the optimal time to brake without ruining your tires? And how do you impress a team in a different series to make a possible drive offer? Hi Eddy, I think experience counts for a lot with braking. Over time, you learn that an F1 car can brake from a high speed to slow speed in 60 – 70 meters and a LMP Sports car in a 100 meters or a GT car in 150 meters. Your brain develops these references I suppose and then you just tweak it depending on the track, tyres, weather conditions or fuel loads. You also need good feel through your foot to know when the tyres are starting to lock. The first impression counts for a lot in motor sport. Teams want a driver who is professional in his approach in and out of the car and of course someone who is quick and consistent. It’s easier to make a quick but ragged driver a professional one, than to make a slow driver who is a polished professional into a quick one. Track time on any level can be expensive, racing simulators just as expensive, so besides iracing and some others how do you stay sharp and focused when getting back into a car from a month or longer layoff? When you have been sitting out for a while do you give yourself a session or two before you start pushing the car to its limit? I actually bought myself a racing kart 3 years ago and try and do a few days of karting every month to stay sharp. It’s a great way to keep yourself fit and race sharp. The trouble with most championships these days is that testing time is very limited so the drivers don’t have a lot of practice time to build up their speed. You have to be ‘On it’ straight out the box. How do you keep your focus for an entire race distance? Thanks. I always try and focus on the laptime and try to develop a rhythm that allows me to drive at a consistent pace. You focus on doing the laps one by one within as small a variance as possible. Getting good references for braking is key for this I find, so you can repeat the way you drive that particular corner in the same way lap after lap. You have driven a lot of different racing cars, what is the first thing you always do when you hop in new machinery? Thanks! I think the first few laps in any new car is very interesting. I try and get a sense of the car’s braking power, the torque delivery and drivability of the engine, the level of grip and downforce in the fast corners and also the feel from the steering which varies greatly with power steering these days. There is a lot to process but once you’ve gotten used to driving different cars, you tend to become adaptable. It’s really amazing how the human brain works and how soon you can get used to things. How similar is the handling from karts to the f1 cars. I have heard they are very similar? I wouldn’t say that the handling is similar but the amount of grip they generate is comparable. The way they generate the grip is very different however as the karts do it mainly from very grippy tyres but race cars rely on suspension and aerodynamics.